If it weren’t for a handful of accident-prone scientists, we might never have gained access to many of the polymerized hydro- and fluorocarbons we’ve come to know and love over the past two centuries. Teflon, for example, was discovered by a guy in New Jersey who couldn’t figure out why his tetrafluoroethylene got all gunked up in its flask. So he cut it open with a hacksaw and, voila, Teflon. Polyethylene was discovered under similar circumstances. In 1898 Hans von Pechmann, a chemist at the renowned University of Greifswald in the German city of same name, was heating up some diazomethane (you know – for fun), which happened to produce a white, waxy substance. Von Pechmann and his colleagues, upon observation of the long methylene chains that composed the material, named the stuff “polymethylene.” Somewhere along the line, either because of Anglicization, laziness or maybe a typo, we lost the “m,” and “polyethylene” permanently entered the chemistry and engineering lexica. Polyethylene is now one of the most commonly used plastic materials, and it’s synthesized in a variety of configurations. Some of the most common varieties are polyethylene terephthalate (more commonly referred to as PET), high-density polyethylene (HDPE) and low-density polyethylene (LPDE). Each different variety features different physical properties. HDPE, for example, is highly chemically-resistant, which means that it doesn’t degrade significantly when it comes into contact with certain corrosive acids and bases. This makes it a favorable alternative to metals in a number of contexts, especially in the construction of storage tanks. 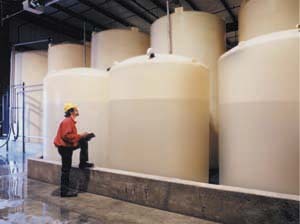 Polyethylene tanks play a hugely important role in a large number of industrial settings, particularly in chemical processing and storage applications. Image courtesy of All Plastics and Fiberglass. 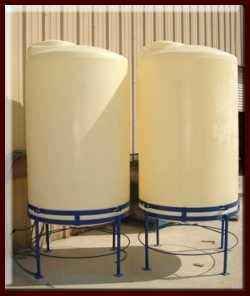 Because of its chemical resistance and other favorable properties, polyethylene probably is the most common plastic material used in the construction of plastic tanks. HDPE, for example, is prized for its impact resistance.  Impact resistance is an important quality for a tank construction material; whoever makes use of the tank would likely be comforted by the fact that the tank won’t easily be ruptured by accidental impact with a delivery vehicle, for example. This means that the chances for the loss of the products stored in the tank is lessened. This also means that the tanks are less likely to pose a hazard to the people and equipment near them because of accidental discharge of their contents after a rupture. Polyethylene is also reasonably inexpensive to produce, and it’s hospitable to a number of forming and shaping processes. Rotomolding, which is a process that involves heating and rotating a mold so that molten polyethylene covers all of the mold’s surfaces, is a common method used in the construction of plastic tanks and other large, hollow plastic products. The initial costs of investment in rotomolding equipment can be expensive, but those investments are easily recouped because of the excellent repeatability of the process and the quality products it’s used to produce. Smaller tanks can also sometimes be created by blow molding. Polyethylene may have been discovered by accident, but it’s no accident that it’s since become one of the most important plastic materials in existence. Until some researcher bungles his or her way to discovering a major breakthrough and discovers a superior substance, we’re likely to continue making extensive use of polyethylene, in plastic tanks and in other applications, for a very long time.